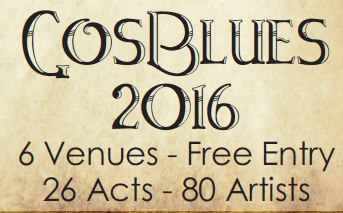 GosBlues 2016 is the first ever free, three day festival presenting quality Blues, Jazz and Roots music in multiple venues in the heart of Gosford city and surrounds. GosBlues 2016 will be held over the weekend of February 19 to 21 in many venues, most of which are in walking distance from each other in the Gosford business district and close to Gosford train station and other forms of transport. Presented by Central Coast Newspapers and Trad&Now, GosBlues will start at 6:00pm on Friday, February 19 and will continue through to midnight. On Saturday, February 20, free concerts will commence from 4:00pm and continue through to midnight. Free entertainment on Sunday, February 21 will commence at 1:00pm and continue until 7:00pm. Specially selected performers are coming to Gosford from many parts of Australia.